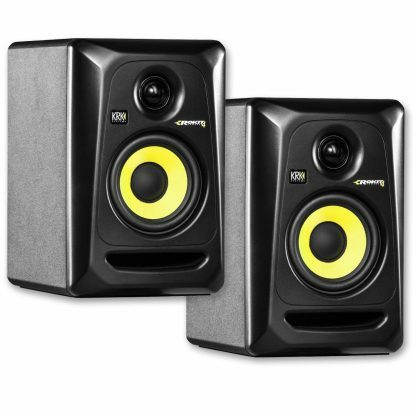 The KRK Rokit 4 G3 powered studio monitor delivers the accuracy you need for recording and mixing in small spaces. 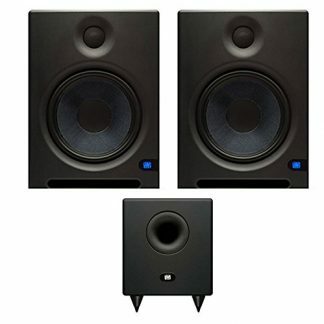 Spec’d with a 1″ soft dome tweeter and a 4″ glass-Aramid composite woofer, the Rokit 4 G3 gives you an extended high-frequency range up to 35kHz, with exceptional vocal clarity and remarkable bass response, given its compactness and the size of its LF driver. You’ll also enjoy generous SPL up to 102dB, courtesy of KRK’s Class AB bi-amp system. 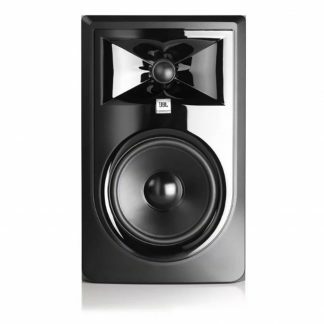 The Rokit 4 G3’s engineered baffle surface reduces diffraction distortion, while the tweeter waveguide improves imaging detail. 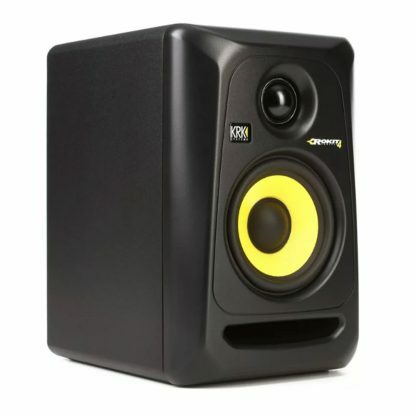 A front-firing bass port diminishes boundary coupling, giving you flexibility in room placement. And, lastly, fitted with three input connection options, the Rokit 4 G3 will easily integrate with your studio setup. With its front-firing port, the KRK Rokit 4 G3 is shape-optimized to reduce boundary coupling and turbulence, while the rigid glass-Aramid composite woofer cone delivers outstanding transient response. 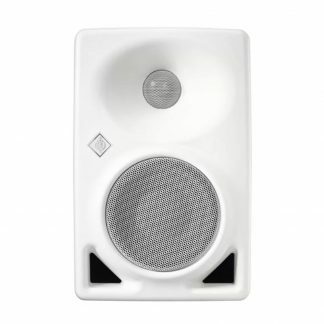 The 1″ Neodymium soft silk-dome tweeter is set into a specially designed waveguide that maximizes detail and crisp imaging by optimizing directivity and phase response, while ferro-fluid damping and cooling is used to control tweeter distortion and heat dissipation. Take it from Sweetwater – it all adds up to superb monitoring accuracy across the frequency spectrum. Accuracy, compactness, affordability: have it all with KRK’s Rokit 4 G3!